Singapore is home to numerous residential developments. Year after year, new developments are churning out making it easy for people to find accommodation. While many projects have been nearly completed, some of them are still under development. One of them is Kent Ridge Hill Residences. Slated to completed in the fourth quarter of the year 2024, this development project is definitely the most anticipated. It is developed by Oxley Holdings Limited, who is a renowned name when it comes to project developments. Enriched with numerous facilities and features, this residential project aims to offer a luxurious lifestyle to the residents. The site of this project is located in a prime area from where numerous parts of the city can be accessed easily. The area is generally quiet and offers a serene and calm environment making it ideal for families. This is one focal point which has helped it to get immense popularity. Its exact location is 50 – 66 South Bouna Vista Road (S) 118168 in District 05 of Singapore. The façade of this location is among its most prominent features. It is attractively designed and attention to every minor and major detail is paid by the architect to ensure it exudes grace and elegance. A stream of water flowing in front of the building surrounded by lush green trees makes it aesthetically pleasing. A touch of modernity and class is added to the exterior décor of this project, which further elevates its look. This residential project is designed to offer plenty of features to the residents. There will be a swimming pool where residentscan relax and unwind aftera tiring day at work or on weekends. For those who are into fitness, there will be a gymnasium. There will be clubhouse and function rooms as well, where different events can be hosted. Residents of the residence will enjoy the luxury of rejuvenating and refreshing in spas and jacuzzi that this development will feature. Apart from that, it is also designed to have a state-of-the-art tennis hall. 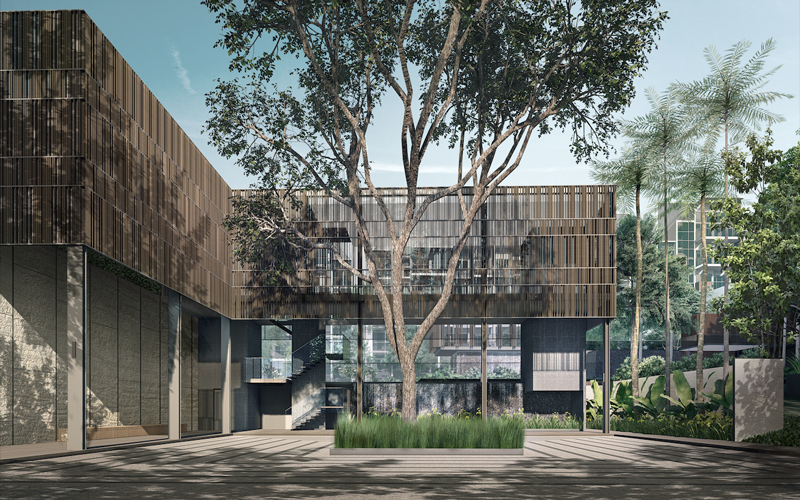 If the residents want to host their friends or family, they will be able to use cooking and dining pavilion in this residential project. A huge parking area in basement comprising of space that can accommodate 548 cars is also available for residents. Lastly, cutting-edge technology will be used to provide 24×7 security to the residents. Spread on a total area of 29, 659 square meters, this project is slated to have 11 blocks of 5-storey. It is going to nestle in itself a total of 548 units. This total also includes 50 Starta landed houses. There will be different units of varying sizes and features. It is going to have a hundred-and-twenty-five single bedroom units and fifty-five 1-bedroom plus study units. The building will also have sixty-two 2-bedroom, fifty-two 2-bedroom plus premium, and eighty-two 2-bedroom plus study units. 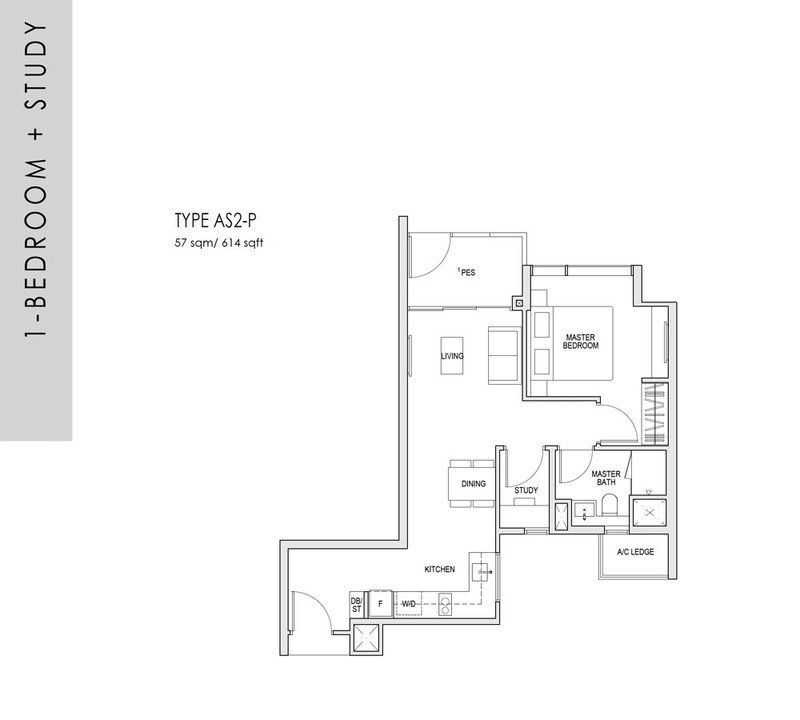 3-bedroom units are classified in further four categories included 3-bedroom, 3-bedroom compact, 3-bedroom premium, and 3-bedroom penthouse plus study. 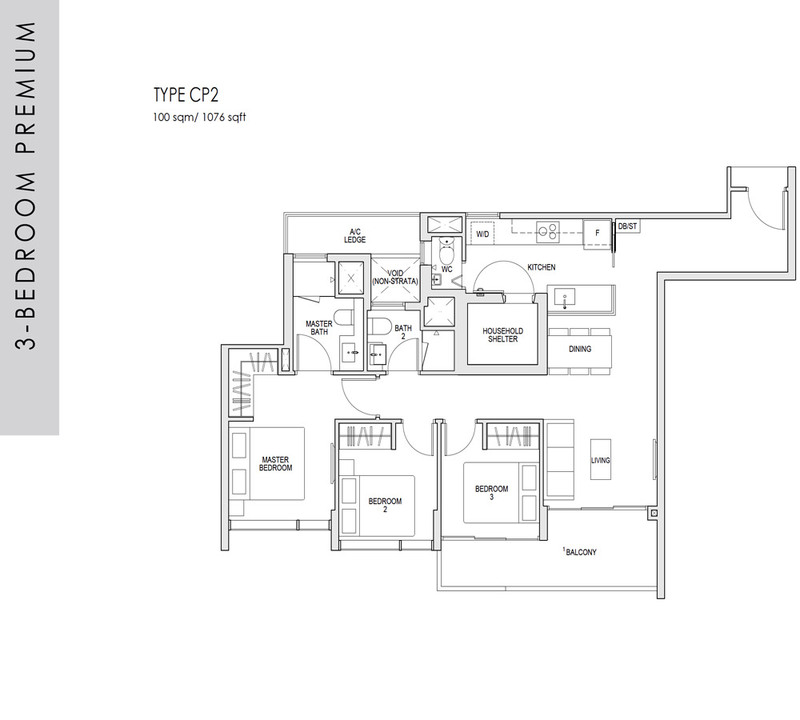 There will be twelve 4-bedroom penthouses and ten 5-bedroom penthouses. As stated above, There will be 50 Strata Landed Houses. Out of these, thirty-six will feature 4 bedrooms and fourteen, 5 bedrooms. 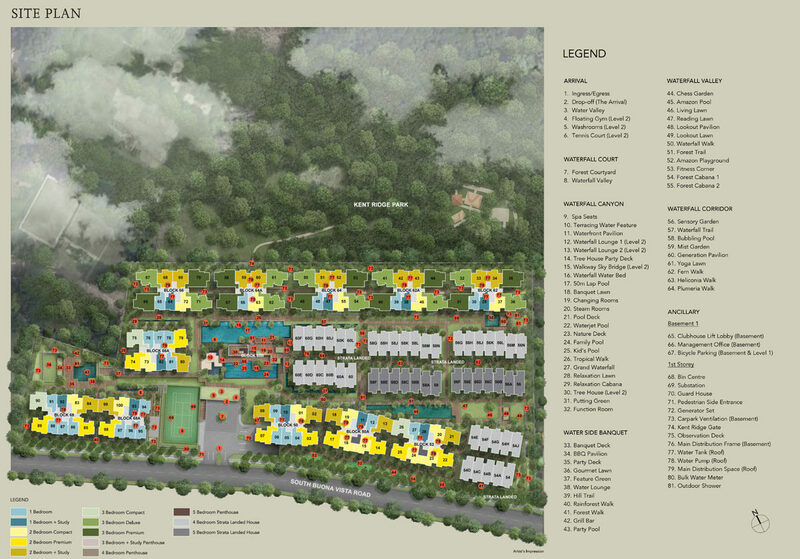 Each of the unit is spacious, has the required facilities, and an impeccable design. Reaching any part of the city is never a problem for the residents of Kent Ridge Hill Residences. There are 3 MRT stations located in close proximity. These are Haw Par Villa MRT, Kent Ridge MRT, and Pasir Panjang MRT. Among these, the latter one is located at the distance of only 600 meters. For groceries, residents are given th options of two supermarkets. They can either go to the NUH medical centreor PSA branch of NTUC Fairprice. Other close retail stores and shops include Vivo City, ARC, The Star Vista Mall, and Holland Village. If you are a food lover, you can satisfy your appetite with the mouth-watering food items offered in a diverse mix of restaurants and cafes that are located nearby. Explore the Pasir Panjang and South Buona Vista roads and check out some eateries there. When it goes to educational institutes, the site of this project is definitely an ideal one. Some of the renowned institutes in Singapore are located here. These include National University of Singapore, Science Park, and Preston Campus of the ISS International School. In addition to that, Japanese Schools, and United World College are also located not far away from the development. For recreational opportunities, there are plenty of them located around the site. 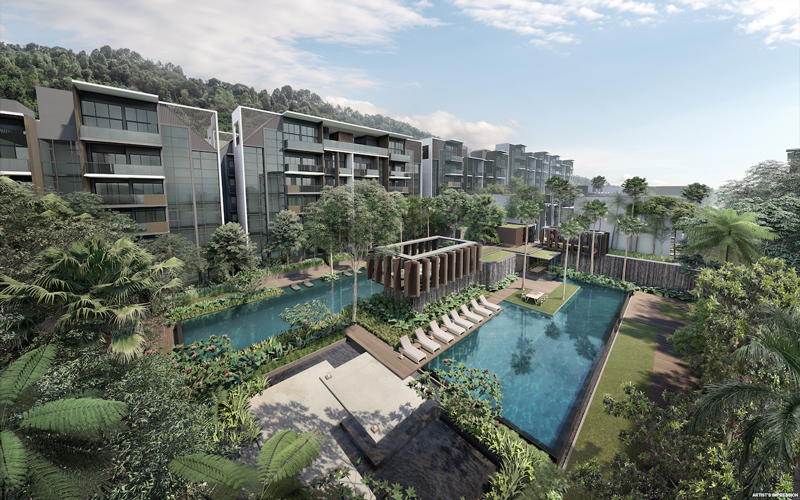 There is Temasek Club, Kent Ridge Park, and Hort Park where residents can enjoy their leisure time with their loved ones. 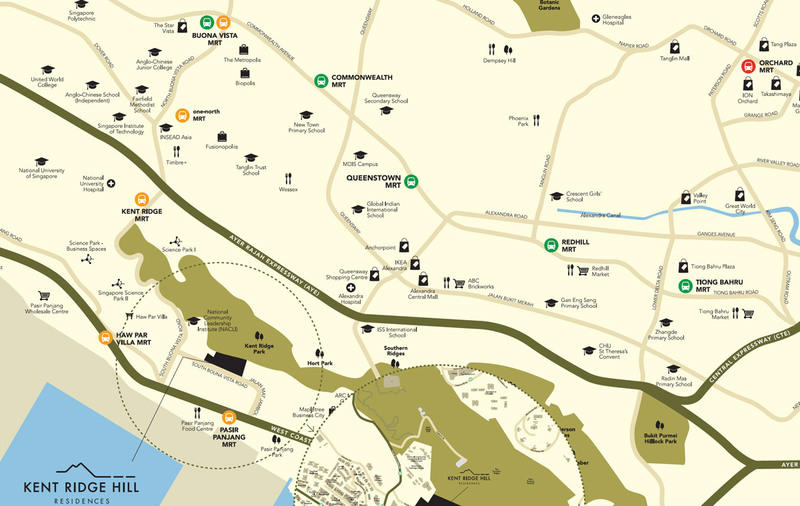 Moreover, Telok Blangah Hill Park, Southern Ridges Greenbelt, and Mount Faber Park are also located around the site. 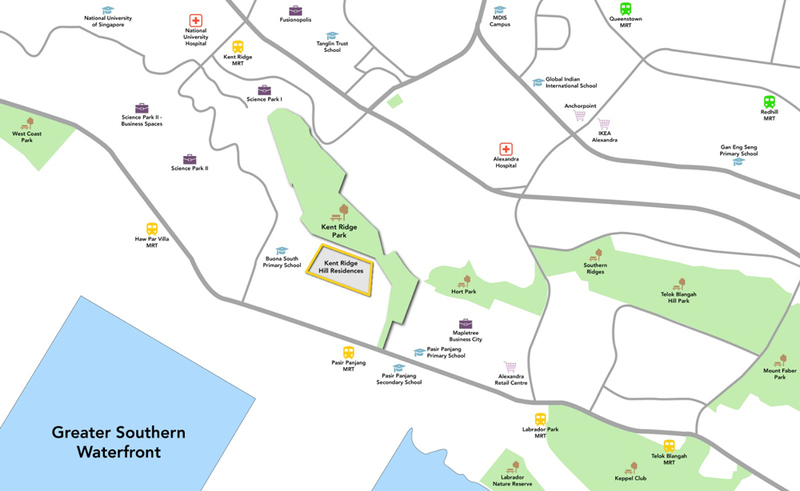 On the southern side of this site, Labrador Nature Reserve and Coastal Walk is located. 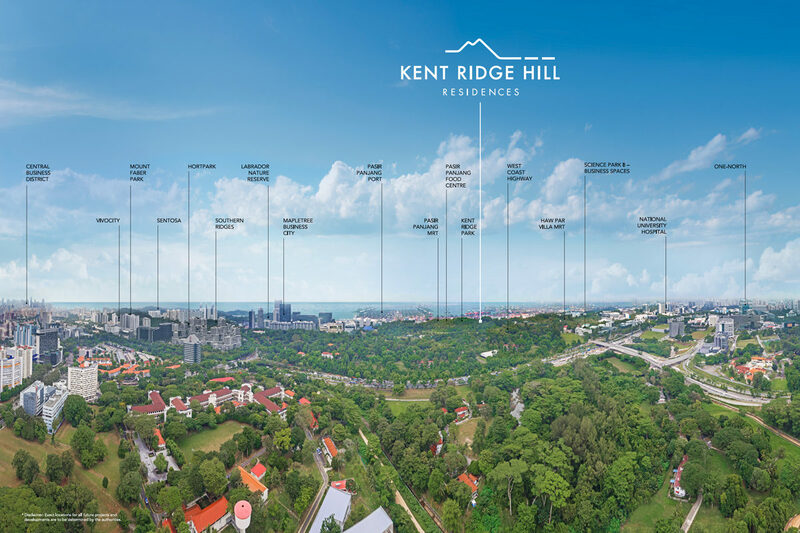 Luxurious new condo, Kent Ridge Hill Residences boasts of all the features that an individual looks for in an ideal accommodation. 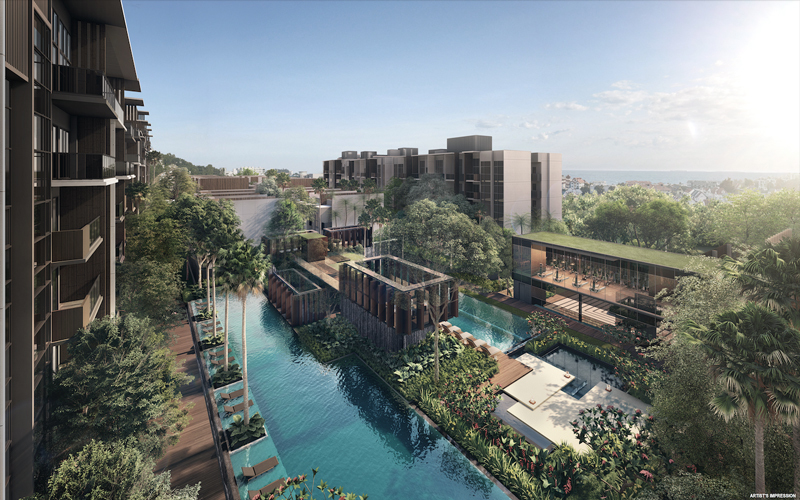 Upon competition, it is surely going to become one of the top residential projects in Singapore. Right from its facilities and features to façade and interior, exterior design, every aspect of this residential development is designed after thorough planning and consideration. Newly released price guide. Contact us for the price guide of different unit mix. 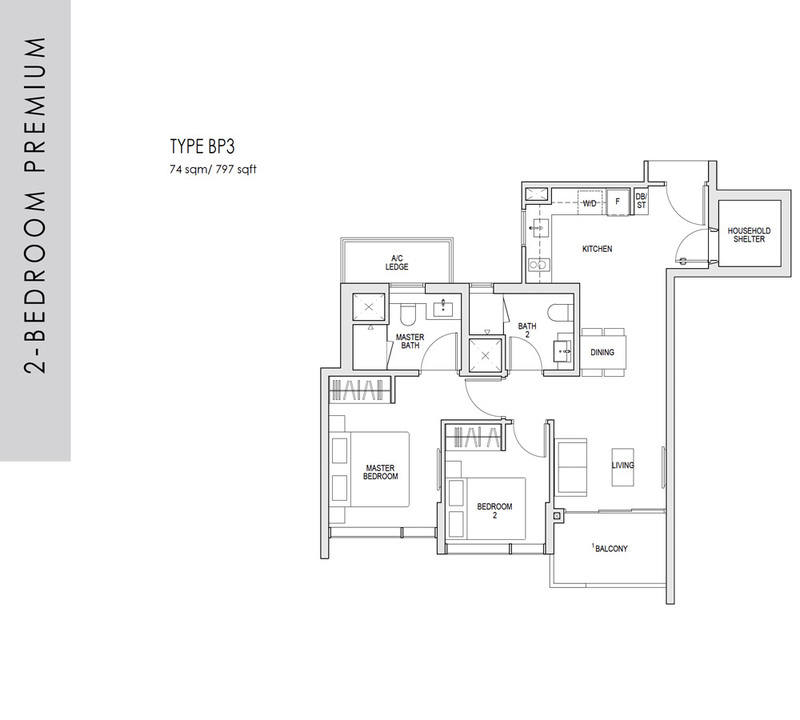 Contact us today for full set of floorplan brochure. Showflat will be open on the 20th Oct 2018 for viewing. Register your interest to view the show units.